Looking after your car can involve two visits to the garage – one for a service, and another for an MOT. Some of the checks can be similar, so what’s the difference between the two processes? Both a service and an MOT involve taking your car to the garage, and a mechanic checking it over. On the face of it they appear similar but, actually, there are some fundamental differences between the two and why you need to do them. In contrast, a service is designed to maintain your vehicle and get it running at its best. It’s not compulsory, but car manufacturers and garages recommend regular services to keep your car in good condition and help it maintain its value. A full service history counts for a lot if you want to sell your car, too. Unlike an MOT, services will vary for each make and model of vehicle and depending on the garage you take it to. 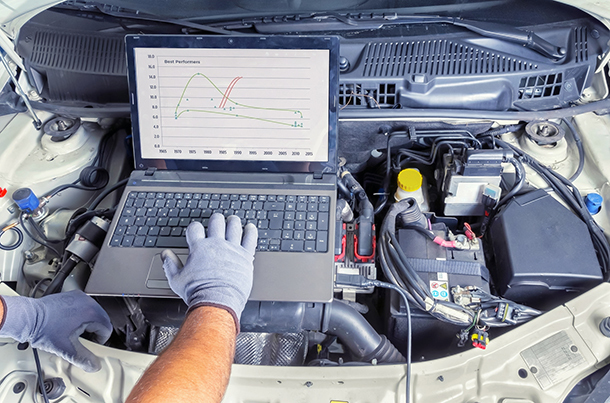 It’s up to the individual garage and mechanic to assess what your car needs, depending on the manufacturer’s recommendations, its service schedule and in newer models, results from the on board computer. Which? Trusted Traders has endorsed garages and mechanics in your area, who can talk you through all your servicing and MOT requirements. 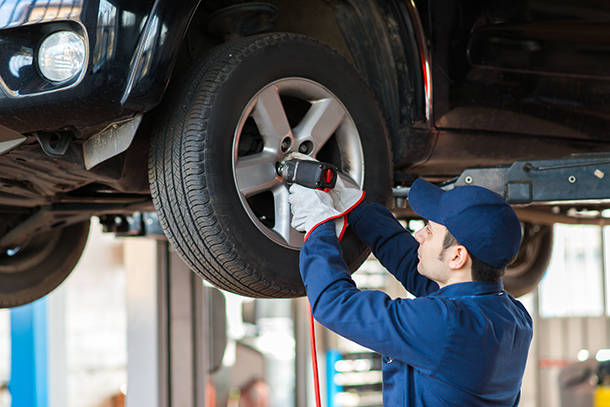 Read on for more about the differences between an MOT and a service. a visual snapshot of whether or not your vehicle is roadworthy. Testers are not going to take off inspection covers to access hidden parts of the engine. Although most garages will do as thorough a job as possible, any visual inspection is limited to what testers can easily see. This image from the government website shows the areas that testers look at during an MOT. compulsory each year for vehicles more than three years old. You need to take your car in to be tested once a year. Driving a vehicle without a valid MOT is an offence, punishable by a fine of up to £1,000. Not having an MOT will also invalidate your insurance. designed and regulated by the government. The government, in the form of the DVSA (Driver and Vehicle Standards Agency), regulates what goes into the test, which garages are licensed to carry it out, and how much it costs. It also compiles figures on common failures. a test, not a tune-up. An MOT tester will go through the list of required checks, and each element will pass or fail. The garage carrying out the test does not automatically work on your car to bring it up to standard, although it may offer to do so. not designed to replace a service. An MOT does not cover the general mechanical condition of your vehicle. It specifically does not look at the condition of the engine, clutch or gearbox. The Which? advice about how to pass an MOT check has more information about each area that will be tested and how to prepare your vehicle. A car is a complex integrated network of moving parts. If one area fails, it can have a knock-on effect on other components. For example, low tyre pressure will affect the fuel efficiency of the vehicle. Different garages will offer different levels of service but, generally, they are designed as a ‘health check’ to ensure everything is working correctly. This includes replacing worn parts and tweaking fluid levels, tyre pressures and so on for peak performance. Service requirements vary, with car manufacturers producing specific service schedules for each make and model. On board computers will also flag areas that need attention, based on individual driving style (often connected to fuel consumption). a thorough examination and adjustment of your vehicle. During a service, the car may be up on a jack and mechanics will remove plastic covers to inspect components that wouldn’t otherwise be visible. They will check fluid levels, filters, tyre pressures, battery health and so on to ensure your car runs smoothly. advisory each year for all vehicles, or more often for those covering a lot of miles. Manufacturers and garages recommend that they need to see your vehicle once a year, or after a set mileage (usually 10,000 miles), whichever comes first. This allows them to check areas that are susceptible to wear on a regular basis. cannot replace an MOT. Even if you have your car serviced according to the recommended schedule, the car will still need to take an MOT if it is more than three years old. Ensure the garage has the correct diagnostics kit to communicate with your car. Check your garage has the facility to extinguish the service indicator light on the dashboard (if present) and re-set it to let you know when the next service is required. Ensure your garage is using manufacturer-approved parts and oils – you will need to ask. Most manufacturers will approve a range of filters and oils – garages should be able to produce certification to show they are using those. Look for a full breakdown on your invoice of what has been inspected, adjusted and replaced. This is your evidence of what has been checked, and forms part of the service history for your vehicle. Check the Which? guide to finding a good garage for more tips.